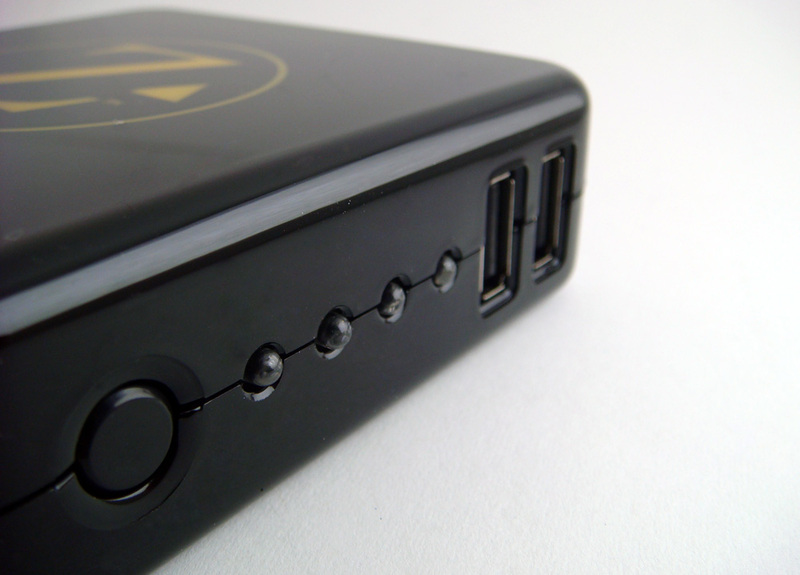 As the screen size and processing power of portable gadgets grow, so does power consumption. Zagg, the makers of the popular InvisibleShield, offers a portable battery pack to keep multiple devices powered when traveling called the Sparq. 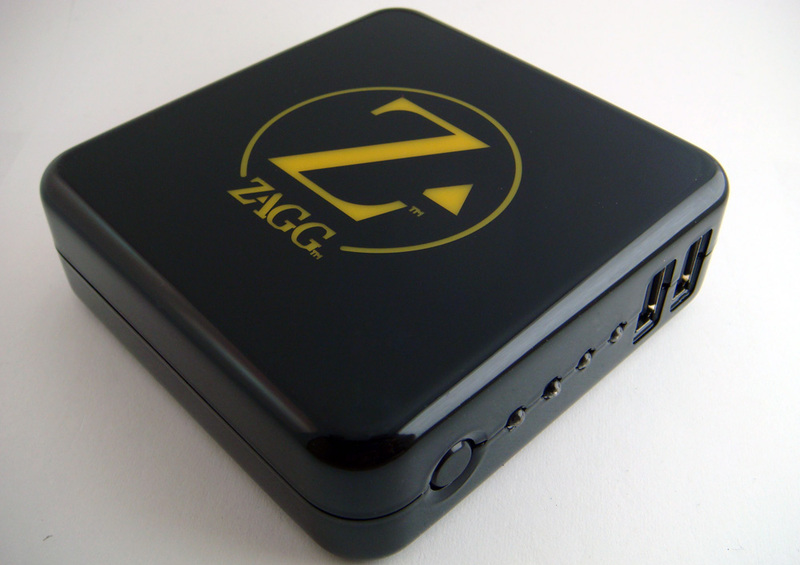 Keep reading to see if the Zagg Sparq has enough power to deliver. The Sparq is 3.5 inches tall and wide and about an inch thick, which approximately the size of an Apple MacBook power brick. It is small enough to toss in a backpack, but can fit into a pocket if necessary, making it easier to carry around. It’s not as lightweight as we would like coming in at just over 0.5lbs, which is on par with laptop chargers. It also sports four LED indicator lights to display the amount of power left in the battery, with each light accounting for 25% of the charge. It is unfortunate that the Sparq’s surface is glossy and not matte, making it a fingerprint magnet. This is problematic since the device will likely get scratched as it will probably be spending a considerable amount of time in a backpack with other cables and gear. The Sparq contains an impressive 6000 mAh Lithium polymer battery. It has a fixed output of 1000 mAh at 5V for the two USB ports. Zagg claims that the Sparq has enough juice to completely charge an iPhone four times, but I only got about three full charges out of it during testing. To charge the Sparq, simply plug it into any power outlet. When plugged into the wall both USB ports continue to charge devices while also recharging the battery pack. I was disappointed that it required a nine-hour initial charge and that subsequent re-charges took nearly as long. Since the target audience is those on the go, they may not have enough time to spare. Shortly after the Zagg Sparq came in, I was informed that the units were having charging issues. It’s apparently due to a quality control issue with a component they purchased from a third-party. Fortunately, the problem poses no safety hazard. Zagg is also notifying early adopters about the issue and offering free replacements. They are even picking up the tab on pickup and delivery shipping costs. I’ll be sending my review unit in soon and I’ll post an update regarding Sparq 2.0. The Sparq definitely has an edge compared to other battery chargers on the market because it is a condensed, clutter-free, all-in-one solution. 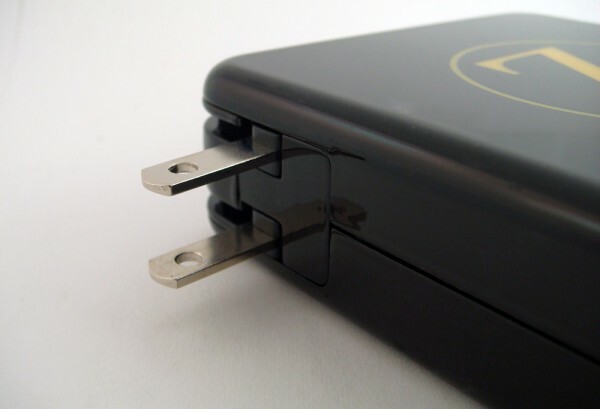 There aren’t any extra wires or AC adapters to recharge the battery pack since it has built-in charging prongs. Since the Sparq allows multiple devices to charge simultaneously, it becomes unnecessary to carry other chargers. This makes carrying around multiple chargers unnecessary, as you can connect any USB capable device to the Sparq by simply plugging the device into the USB port. 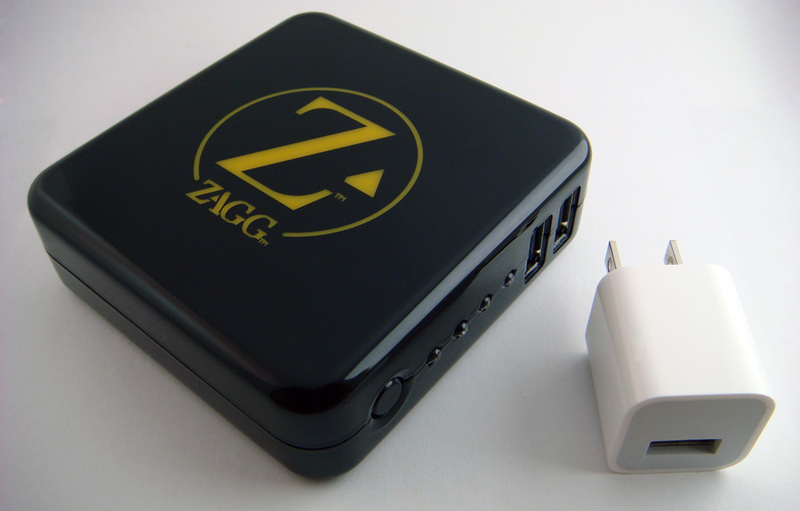 Sure, there are other portable battery packs on the market, but none as portable or well built as the Zagg Sparq. All in all, the Zagg Sparq is a great product with a nice form factor. It is true that the near nine-hour charge time is a huge drawback and that the $130 MSRP is a pretty steep price to pay for a portable battery/charger. However, if you keep your eyes open for one of Zagg’s amazing deals, you might be able to snag one for as low as $50.